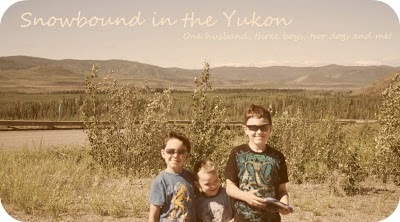 Snowbound in the Yukon: Check-in. Things have been really good this week. Mar 2 - I only got about 4800 steps yesterday as I was in a workshop all day but then I went for a walk with my brother and his family and got all my steps in then. I'm doing great today, still lot's of hours in my day and over half way there. Mar 3-Well I doubled my first day yesterday at over 8000 and today I'm over 7000 right now we still have hockey practice tonight and my craft night. So I'm doing way better. I went to the gym today for the first time in our local community gym. It's been relatively warm at -10C lately but this morning it was -35 and the vehicles didn't start because they weren't plugged in. But I did my WATP this morning first thing. My boys like to watch me because they keep waking up half way through. Mar 4-I'm have a dismal day. Woke up not feeling so hot so I've spent most of the day in bed with a book or watching a movie. I've been trying to get up a lot and move around but the steps are not adding up. I think the pedometer doesn't work so well on these pants I'm wearing or I'm just not getting the steps. I know I'll do better tomorrow. Mar 5- I only got over 2000 steps in yesterday. I'm feeling better today but dragging my feet, I only got 5 hours sleep last night so needless to say I didn't get in my morning walk but I'm going to do it on my lunch break(I'm skipping the gym today and might go tomorrow), at least part of it. My lunches consist of picking up my son from school, taking him home and making him lunch. We have 1 hour for lunch, it's only a 5 minute drive home. We do this everyday except Monday when he's aloud to stay. He's a curious boy and often disturbs others in his curiosity or interest, so we just pick him up. It gives him a break in the day. Hubby will pick him up if I ask but he'd have to come into town from the opposite direction. He does it when I go to the gym two days a week. Mar 6-Yup, feeling way better. I slept tons last night and got up early to do my walking. I'm over 11000 right now and my night is def not over yet. I only got over 2000 yesterday, it was a bad day all around for me, I was just in a bad mood and it affected everything. Doing much better today. Mar 8-Anyhow, I had a fairly laid back weekend. I went to a friend's Friday night and had a few beers. I was too tired the next day to do my long walk. We went to my parents for dinner and then Sunday, I forgot to wear my pedometer for half the day and I was cooking and cleaning all day. My parents and brother and his fiance and her little boy came over for dinner. My brother and fiance are leaving tomorrow, she's due to have a baby on the 22nd. We are all very excited. Up here where I live there is no hospital and it's mandatory for all mothers to go to the City to have their babies as I've done in the past.Again I stayed up late and couldn't sleep so I did not get my walk in, I'm trying to figure out when to do it. Monday lunches are our free lunch cause Kale takes his lunch on this one day a week. So Hubby and I usually have a date. I don't think I could give up my date to walk. I'll see how the day goes. Overall, I'm doing well. I'm eating more fruits and veggies, I bring carrots and apples to snack on at work. I'm moving more with this 10,000 a day challenge. I'm feeling good about myself. I'm trying to stay as positive as I can. I haven't seen the number shift in 5 weeks and I"m trying not to concentrate on that. I do weekly weigh-ins for my Biggest Loser challenge which isn't going so well as I've lost 6lbs and that was the first few weeks of the challenge. But I'm still plugging away and doing what I can. I'm not giving up on this.